This cozy house is situated only 200m from one of the most famous sandy beaches of Athens,Artemida beach also known as Loutsa. 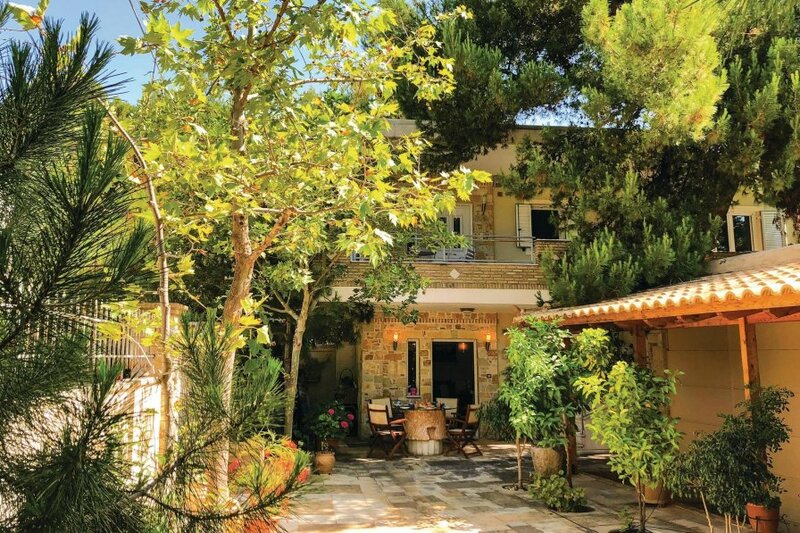 This cozy house is situated only 200m from one of the most famous sandy beaches of Athens,Artemida beach also known as Loutsa.It has a beautiful fenced garden with flowers and trees where you can sit for hours and enjoy the quiet atmosphere and the shadow of the trees. Enjoy your breakfast on the balcony on the first floor as you watch your children palying in the yard.The house is tastefully decorated and it has all the amenities you need to make your holidays unforgettable. In only 3 minutes away by foot you will reach the sandy beach of Artemida which in some points is organized with sun loungers and umbrellas. Restaurants and coffee shops by the sea are all within walking distance. The center of Athens with the famous Acropolis and Acropolis museum is only 45 km away so do not miss to pay a visit and walk around Plaka (the old town of Athens) and enjoy a nice dinner in one of the restaurants of the area. This solidly constructed modern villa was recently built in 2006. The agent has rated it as a three star property so it is a well-kept villa, equipped with standard furniture. It is also good value for money. The villaIt is located in Athens City, only 500 metres from Artemida. The nearest airport is only 9km away. It is set in a very convenient location, just 200 metres away from a sandy beach. There's also a restaurant only 70 metres away. The villa has free wireless internet. You can also park on-site at no extra charge. The villa is adequately equipped: it has a refrigerator and dishwasher. It also has some garden furniture outside.